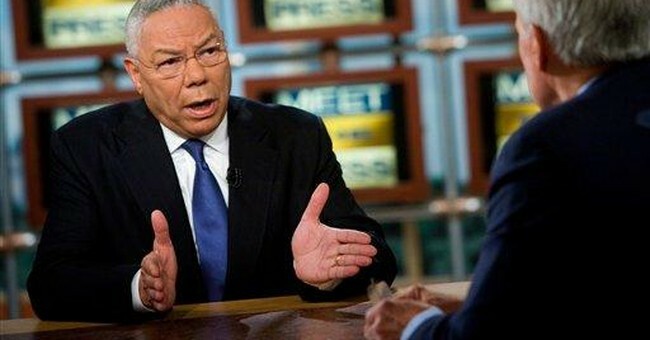 Among all the people who are now scrambling to get on the Obama bandwagon, none is likely to impress more people than Colin Powell-- especially people who know no more about the specifics of Colin Powell's actions than the specifics of Barack Obama's. Like Ross Perot, Colin Powell once had such support from the American people that there was nothing to stop him from going all the way to White House-- and beyond to greatness-- except his own shortcomings. Both squandered historic opportunities. The full story is told in Novak's book, "The Prince of Darkness." What is relevant here is that a New York Times reporter went to jail for refusing to tell who had revealed Ms. Plame's occupation to her, and White House aide Scooter Libby was convicted of perjury because his memory of what he said did not match the memories of some reporters-- whose memories did not match each other's. The first duty of a President of the United States is to protect American interests-- of which survival is number one-- regardless of what others may say.